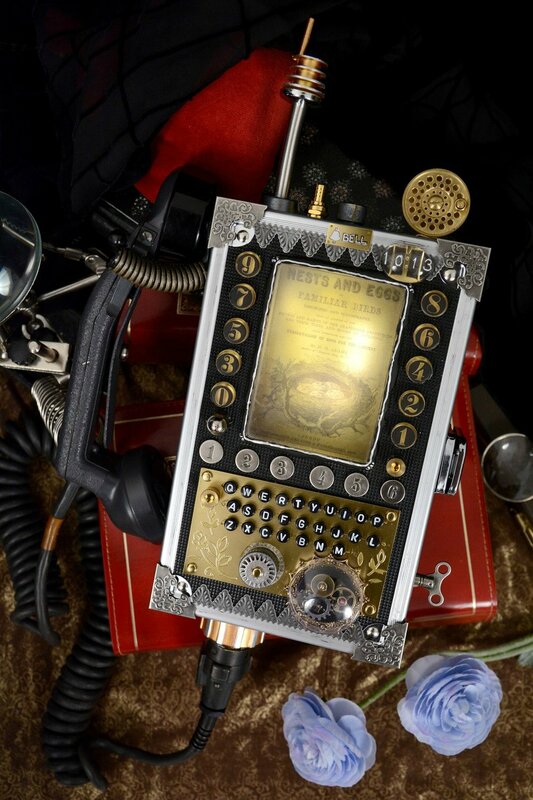 Steampunk interpretation of a modern cell phone, made in mixed media using craft stash and dollar store parts. Featuring: pencil box, scrapbooking pieces, vintage military receiver, hose fittings, broken tape measure. Solo project produced as part of team competition in GISHWHES (2015) scavenger hunt, a week-long creative challenge allowing less than a day to complete individual projects.